I've coloured in the image with promarkers ( Cocoa, Caramel, Sandstone, Tan, Cinnamon, Vanilla, Pear Green, Marsh Green, Tulip Yellow, Blossom and Rose Pink), then cut out the image with a fine white border, used glossy accents on the eyes and placed a black pearl from The Hobby House onto each one. and mounted it onto Nitwit collection papers ( In the Meadow), these were the free ones with Simply Cards and Papercraft earlier this year. I've printed off a sentiment using my PC (font is "A Little Pot"), and distressed the edges with distress ink in Antique Linen. I've just finished it off with seam binding in Oloroso from Ribbon Girl. 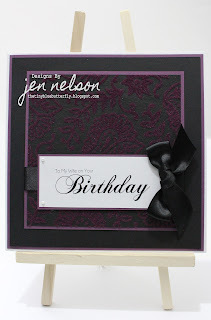 Time for another challenge or 3... With todays card I decided to enter the Penny Black Saturday Challenge - Lace and Pearls, and wanted to use a simple layout so went to Clean & Simple Stamping to see what this weeks FTL challenge was. 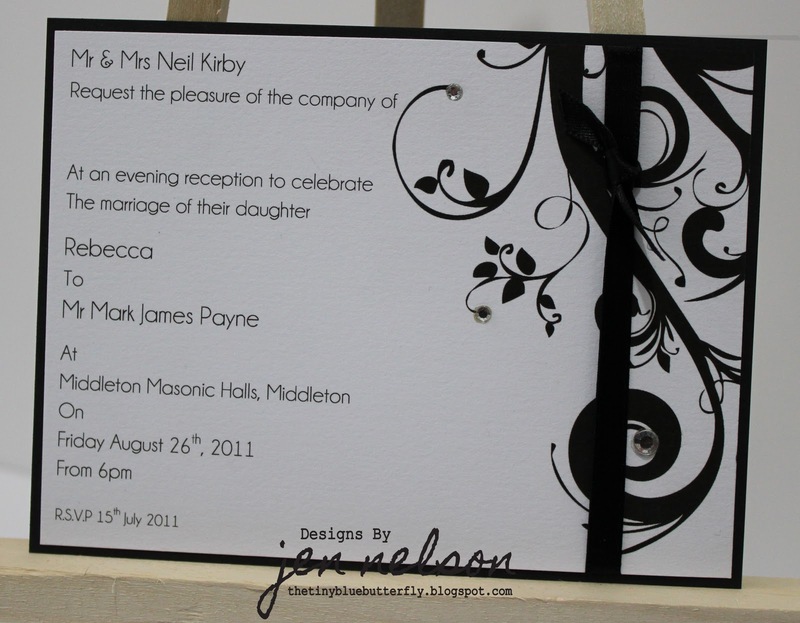 I also entered the Charisma Cardz Challenge #8 which is Black, White and another colour. 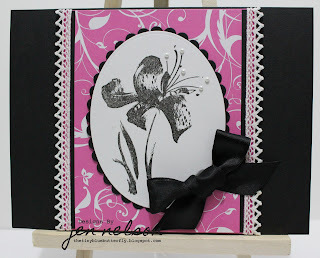 The image is Penny Black "Brush Lily", stamped with black brilliance ink pad. I have cut this out with my trusty nesties and then layers on paper from Pink Petticoat (Elegance in Bubblegum pink). The lace is from Ribbon Girl, and the black ribbon is club green from my stash. The Pearls at the end of the stamens are from the Hobby House. Had a fab day making up Becky's wedding invitations with her family...makes it so much more fun when you have loads of the same to do... we had quite a little production line going. I decided with today's card to stick with something simple so I thought I would use the Kraft card blanks I bought a couple of weeks ago. 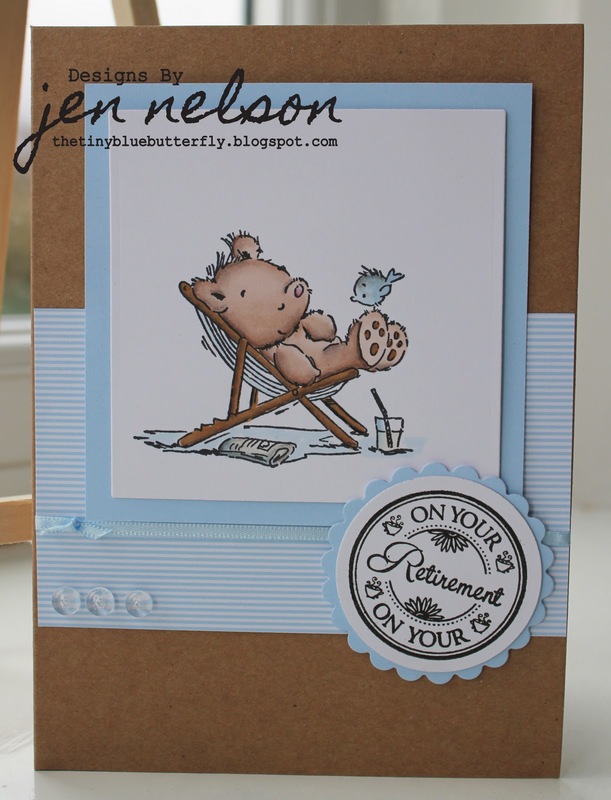 The image just reminded me of my grandpa in his deck chair and I've kept it simple with pale blue card and a simple sentiment. The image and sentiment are from LOTV Deckchair dreaming, the paper Pink Petticoat (of course), the Card blanks are papermania, and I've use a couple of dew drops from Ribbon girl to finish it off. 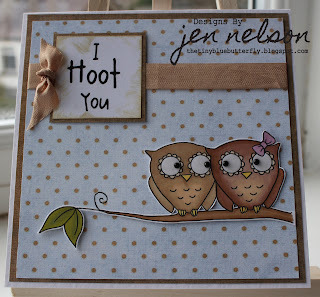 I've used my pro-markers to colour in the image (Tan, cinnamon,denim blue and pastel blue). I have entered this in to this weeks Passion for Promarkers challenge "one for the boys". After a mad busy day, I still managed to get a card finished today for the LOTV weekly challenge. This week it's "Circles". I wanted to do something fairly simple and "manly". Here is my card. I've used the In The Shed LOTV stamp from one of last years summer releases), and coloured in with promarkers (sorry put them back in the box without writing them down today..doh!). The paper is My Minds Eye (one of the 6x6 pads) that I bought specifically for "Mens Cards". I've finished it off with Bakers twine from Ribbon Girl and a button from my stash (this one is from the £1 bags you get in one of the discount book shops). To complete this weeks orders, I had to make a couple of cards for "Wives Birthdays". 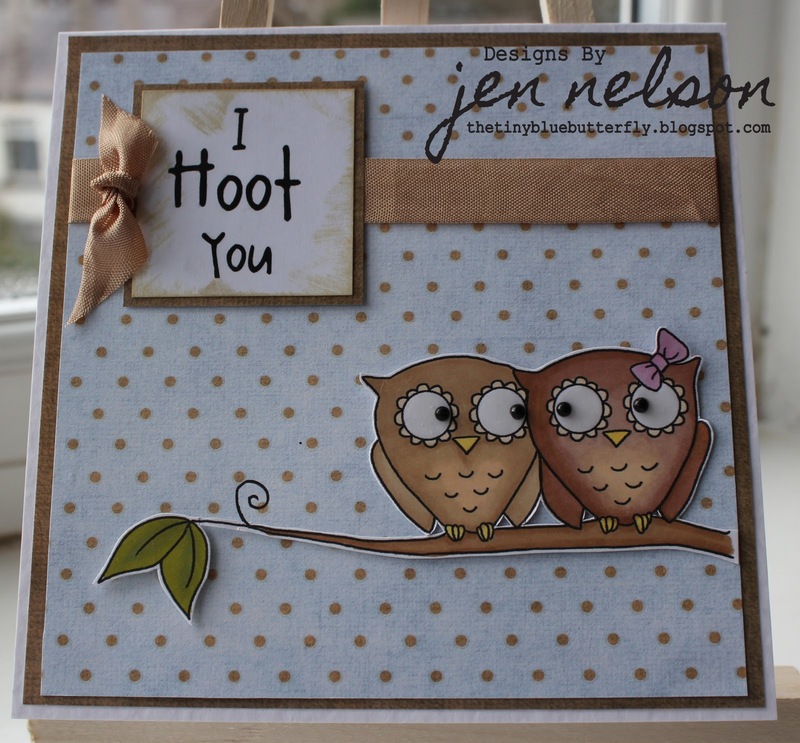 The first card uses a flocked paper (from sale rack at Paperchase)mounted on card stock and finished off with a big bow. 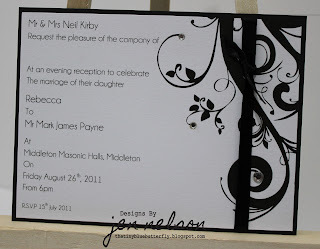 The greeting is printed from my computer and then run through the Foil It machine with black foil. A couple of pearls on the corner of the greeting finish it off. I had another card order for a new baby, this time a boy, so I decided to do the boys version of the baby buggy from yesterday, this time using paper piecing rather than the promarkers. Papers are Pink Petticoat Little Big Dots as well as the image, Seam binding is from Ribbon Girl and Buttons from stash. I'm so excited... 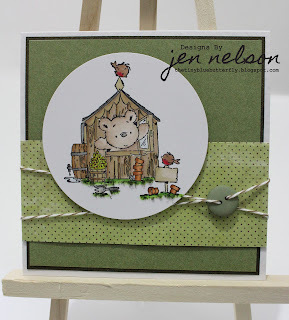 I have been selected to be one of the Papercraft Testers for Papercraft Inspirations Magazine....yipee!!! I can't wait to get started on the first assignment! 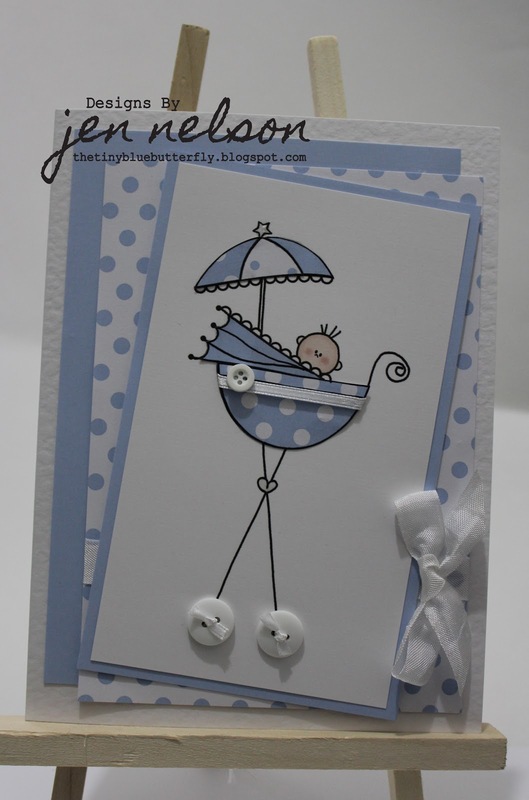 Anyhow, got to be quick today, so here is the card I made using the Baby Buggy digi image from Pink Petticoat. I've coloured this in with my promarkers ( Pink Carnation, Blossom, Rose Pink, Almond, Sunkissed Pink and used the blender). I've mounted on Pink Petticoat papers ( Big Dots collection, and finished off with a few pearls and a couple of buttons from my stash as the wheels. The white seam binding is just used for the bow. Just thought I'd share a photo of the card I've put together for my mum to make with her cub scouts for mother's day this year. I'd remembered seeing a origami butterfly in one of the magazines my mum gets last year (Cardmaking & Papercraft - Issue 65)so asked her to dig it out. I decided that it would be a good hands on project for the 8/9 year olds making the card.....Here are a couple of photos. The rose paper is printed from Pink Petticoat (Perfect Papers collection) and I've used an old stamp set from Woodware ( think it was called "Tiny Sentiments"). 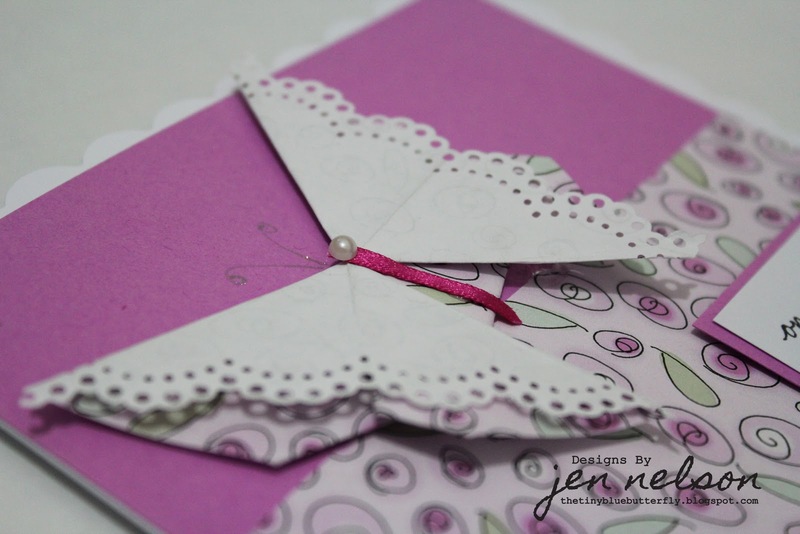 The lilac paper is from the stash (prob originating from the paper mill shop). I've finished off with a small bit of ribbon (from bits box) and a pearl (freebie from Samuel Taylors when I visited them for their Birthday celebrations). I decided today that I would enter my first challenge using the "Dandelion Clock" fairy in the Lili of the Valley since it was a simple one.... "My Favourite Colour"
I've coloured in the little fairy (Dandelion Clock) with my trusty promarkers (Cool Grey 1,4; Amethyst, Lavender, Orchid, Buttercup, Tulip Yellow, Tan, Cinnamon, Cocoa, Almond, Dusky Pink & Sunkissed Pink). The wings are finished off with Fairie Kisses Diamond Sparkles. The flower back ground is a cuttlebug embossing folder which I have inked before putting it through my cuttlebug. I've kept the rest of the card simple, using the dandelions from the stamp as embellishments and little lace from my stash ( or rather my grandma's stash...). The Flower charm and pearls are from The Hobby House, and the paper from Pink Petticoat (Lavender Pinstripes, and Plum Solid). 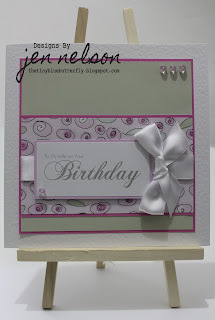 I'm starting this blog with the card I made a couple of weeks ago for my friend Lizy, a fellow card makers, birthday. The Image is LOTV Thistledown, which was the first stamp ever purchased from them and now forms part of my large collection of Lili of the Valley Stamps and I had completely forgot that I had it with all the new releases. I've used promarkers to colour in the image (I promise I'll start to note what promarkers I use for each one going forward) and the paper is from a new stack by first edition paper called love letter, ribbon is from my huge stash. I've printed off the lettering from my PC and used my Foil It machine, its finished off with a few gems again from my stash (Hobbyhouse I think).